Located in the scenic Nubra Valley of Ladakh with the mighty Himalayas as the backdrop, Mystique Meadows Earth Homes are a glimpse into the land of natural wonders. 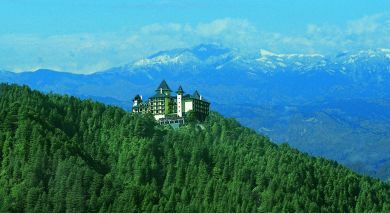 Get away from the din of the city, and welcome tranquil mornings and retire to peaceful nights at this serene resort. The cottages showcase traditional Ladakhi hospitality without encroaching on the surrounding environment. The mud brick cottages are a blend of traditional methods and modern architectural techniques. Each cottage comes with a separate shower and toilet and is equipped with cable TV and a complimentary tea/coffee maker. 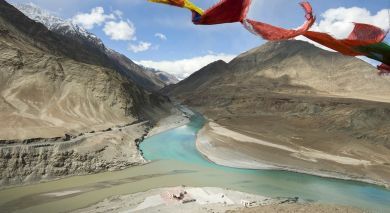 Strategically placed, all cottages offer stunning views of Ladakh and the Karakoram ranges. Enjoy local delicacies specially prepared from vegetables sourced from the in-house, organic kitchen garden. Explore the neighboring areas perched atop a camel for a unique experience.